Engage your students with an authentic medium that takes them out of the classroom (and away from the coursebook) into the real world using English as a medium to communicate. Motivate your students to produce the best work they can. Blogs are public and there is a wider audience than just the teacher who will see work. This motivates everyone to do the best they can. Collaborate outside the classroom by “connecting” your classroom and use your blog to prepare for and continue work done in the classroom. http://www.blogger.com/ – free, simple and intuitive to use. Users need a Google account. See www.teachertrainingvideos.com for video tutorials on how to set up a blog in Blogger. www.wordpress.com – the best blogging platform used by serious bloggers but some functions are pay for and it’s not as easy and intuitive to use as Blogger. www.edublogs.org – based on WordPress, but adapted specifically for teachers. There are free and pay for accounts and this is especially good if you want students to have individual student blogs. www.kidblog.org – free, simple and basic created by teachers for teachers and suitable for kids, as its name suggests. Do you need/have you got parental permission? There are specialist educational platforms where students don’t need and email address and will give comfort to parents. Is your blog going to be private or public? This depends on content. Public is more authentic and encourages students to be more careful about their work. Private is safer and may be more acceptable to parents of younger learners. Is the name easy to remember? If your students can’t find the blog, they won’t use it. How are you going to organise it? By topic? By date? By student? Spending time planning “labels” or “tags” (the words you use to categorise each post) can save a lot of time later. How are you going to assess student work? Give clear instructions and use rubrics so students can self-assess before submitting any work. Convert coursebook activities into digital activities by getting your students to comment, discuss and collaborate online instead of in the classroom using pen and paper. And, you don’t need to limit your blogging activities to reading and writing tasks. You can also free web tools you can get your students do interactive activities. Post useful links to websites. Post important course information (such as exam dates, homework instructions, etc.) on the blog for you and your students. 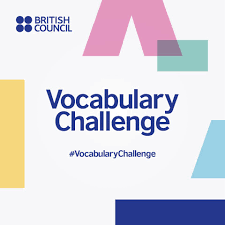 Drill grammar and vocabulary on the blog – using course book exercises, students write multiple sentences using the target language on the blog instead of in their notebook. Encourage collaboration. Find and embed online games and quizzes for homework then students comment on them using language for expressing opinion, agreeing and disagreeing, etc. Use other free web tools to create quizzes, flashcards, short animations, etc. that can be used over and again year after year. Use authentic online materials as prompts for speaking and writing tasks. A nice beginning activity is to get students to embed their favourite Youtube vídeo. Students keep an online diary. You can organise a class blog by student name to see individual student posts instead of having individual students create their own blogs. Encourage learner autonomy and save your time by getting students to create or find materials they want to use in class and post it on the blog! Whatever you do in class with pen and paper, can be converted to digital. Do not allow students to post personal information (such as address and photos, etc.) on the blog. Instructions need to be clear, either on a handout or on the blog. If students are not sure of what they are doing, they’ll quickly lose interest. To help students know what is expected of them, and encourage learner autonomy, use rubrics so students can self-assess before “publishing”. Include “participation” in your assessment rubrics to encourage everyone to complete tasks. Copyright law. It’s important you and your students have permission to use video, images and texts on the Internet. See www.creativecommons.org for more information. In class, be prepared for fast finishers. Get them to help their peers, do an Internet quiz, etc. Have a back up plan. Technology sometimes fails! There are hundreds of free tools to use with your blog. Here are some easy tools to get started. Remember, you don’t have to all of this, get your students to do the work. Many thanks to Helen for these excellent ideas and suggestions on blogging!